It seems like every time I put on mosquito repellent, I’m nowhere close to a sink to wash the chemicals off my hands. And even if I am close to a sink, somehow I end up getting the repellent back on my hands or worse—in my eyes or on my food. Traditional mosquito repellent stings, burns and tastes horrible because it contains highly toxic chemicals. Most repellents include safety guidelines for children and pregnant women, and there are documented studies on detrimental health effects of using repellent containing DEET. 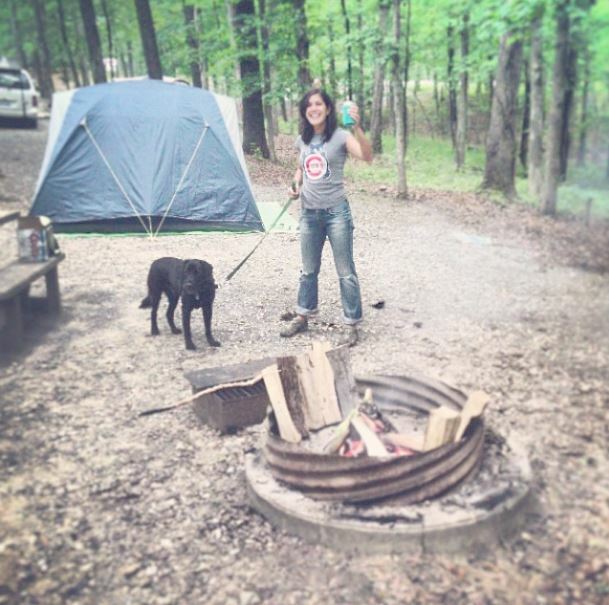 Two summers ago my husband and I took a four-day weekend camping trip at Land Between the Lakes in Kentucky. After that trip, I reached my breaking point with DEET repellents and the like. It occurred to me that there must be other repellent options. After that camping trip, I decided to avoid the gross-tasting and toxic situation entirely by becoming a bit more “green” (remember—while we are aiming for our skin, we also spray these chemicals into the air). I did some research online and made my first batch of eco-friendly, essential oil-based mosquito repellent. It is true that essential oil-based repellents evaporate and soak in your skin quickly, but I never need to worry about chemical side effects when I re-apply. Plus, it smells great and is tasteless. A complete win all around! You can customize this recipe to your own preference once you get familiar with the oils and scents. Carrier Liquids: Carrier liquids are necessary because you don’t want to put essential oils directly on your skin, and you need your oils to bind together. I like using witch hazel, grapeseed oil and vodka for my carrier liquids. Witch hazel and grapeseed oil are great for your skin and can be found at your grocery store of choice (grapeseed oil is stocked by the other cooking oils). Vodka acts as a preservative, but it also has mosquito-repelling properties. Don’t use flavored vodka or any preservative with sugar in it. If you’re averse to using vodka, you can use vegetable glycerin. Tip 1: Catnip is one of the most effective and longest lasting oils. Plan on this oil being the ESSENTIAL essential oil. My favorite essential oil combinations are catnip, tea tree, rosemary, clove, eucalyptus and lavender. The more oils you use, the stronger the repellent and better it smells. And remember that catnip oil is the strongest, so make sure almost half your overall drops are catnip oil. Pour 4 ounces of distilled water into a spray bottle. I use an 8 ounce (purse-sized) aluminum spray bottle that I bought in the beauty aisle at the grocery store. Add half a tablespoon of grapeseed oil and one teaspoon of vodka. 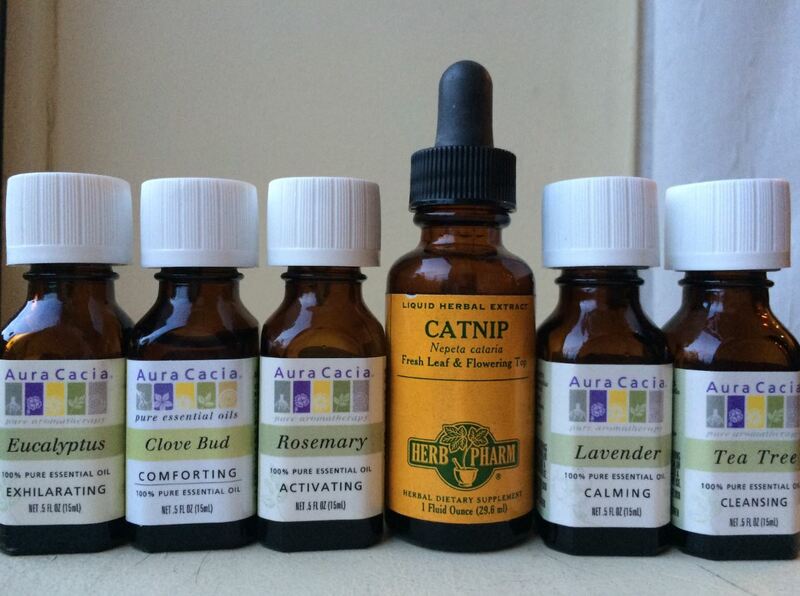 Then, add 25-30 drops of catnip oil and another 20-30 drops of each of your selected additional essential oils. If you spill a little or lose track while counting, don’t worry. This doesn’t have to be an exact science. Fill the rest of the spray bottle with witch hazel. Tip 2: Leave a little room at the top so it doesn’t overflow when you screw the nozzle back on. Shake bottle, then spray and rub into skin. Re-apply as needed, roughly every 60–90 minutes. Tip 3: Test a little at a time with kids—the strength of the lemon/lemongrass and eucalyptus essential oils can sometimes irritate the skin of very young children. 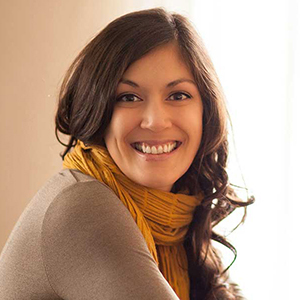 Lili’a Uili Neville is a runner, environmentalist and health nut. Lili’a is the communications director in the Office of the Vice Chancellor for Diversity at UT Knoxville. When she’s not at work, she is underestimating how long it will take her to complete a craft project, telling funny stories about her dog and cat or having a classy date night with her husband. Thanks for sharing your recipe! My daughter reacts terribly to mosquito bites, but I hate using OFF and other products on her. This is exactly what I need! Once you make a batch, is it good all summer? The batch won’t expire over the summer, but I like to make a fresh batch each year. If it’s been a couple weeks since you last used it, just give it a good shake before spraying. Good luck!